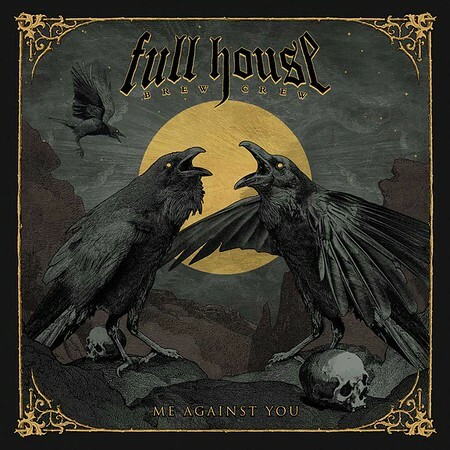 “Me Against You” is the second album from Greek metal band Full House Brew Crew and it was released by Rock of Angels Records (ROAR!) on 16th November 2018. It has been seven years since the release of the band’s debut album in 2011 as guitarist and lead singer Vagelis Karzis has been playing bass for Rotting Christ for the past few years. The album is at the heavier end of my listening spectrum and I included the track “Hollow God” on the Friday NI Rocks Show on 23rd November. Full House Brew Crew formed in 2009, with Karzis as singer, guitarist and main songwriter. His influences were bands such as Pantera, Black Label Society, Five Finger Death Punch, Godsmack and Metallica. The band released their debut album “Bet It All” in 2011 and had a number of high profile support slots before Karzis joined Rotting Christ and Full House Brew Crew took a hiatus. Karzis is joined on the album by bass player Spiros Dafalias, drummer Alex Keito and guitarist George Tzatzakis.